The original ratchet backband. Featuring our patented adjustable, no slip ratchet technology. 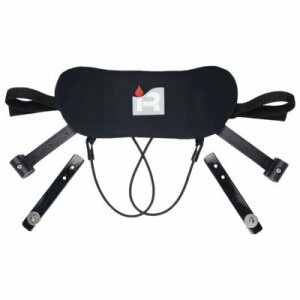 The Reggie Backband is constructed of plastic and foam insert covered with soft, abrasion resistant neoprene. All stainless steel, salt water resistant hardware. Comfortable, easy to install and adjust. 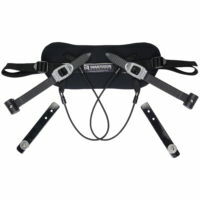 Small size, fits in almost any boat and provides maximum amount of back support. A great replacement for your OEM backband. Size: 13.5 x 5" tall. If comfort is king and you are looking for a larger backband caress check out the LoungeBand Backband, just like the Reggie but even larger!